Press day season is one of the best and busiest times in my life! Real talk, things get cray when it comes to fashion. However, I love it! I love getting a sneak peek into the newest collections to hit the highstreet. As it is July, Christmas in July was in full swing! 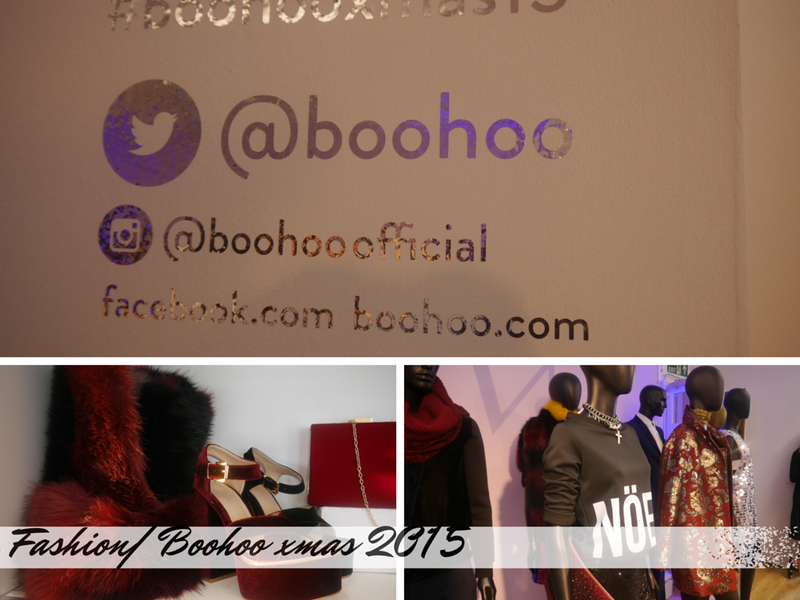 I went to many previews last week, but one of my faves has to be the #Boohooxmas15 preview. 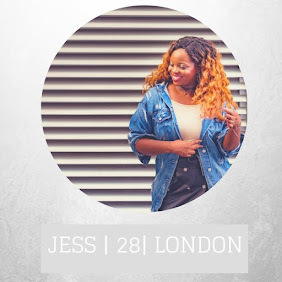 I have worked with Boohoo a lot in the last month, in the style swap post . 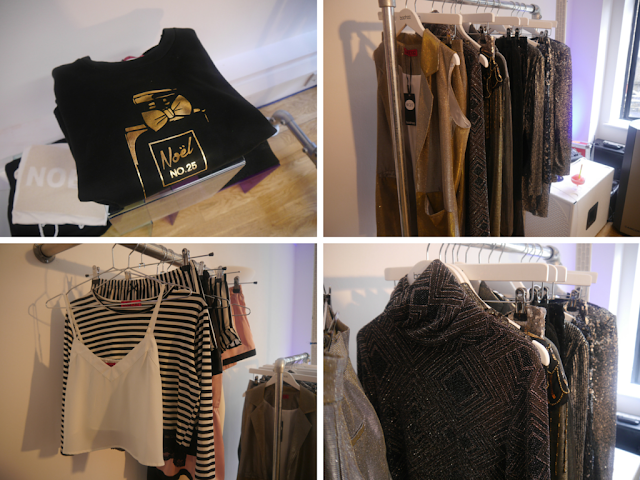 So it was great to meet the guys behind the brand and take a look-see at the new collection for AW15. As with most AW15 collections this season. The Boohoo AW15 collection was abundant with sparkles, fur, coats, tailoring and the classic party pieces, for the party season. Before I could really get into the new clothing and accessories, I headed to the food table! Now, a lot of people tend to avoid the canape section at events. However, me and my girl Lauren who accompanied me to the press days, got ourselves a cocktail slushy which was lush and some canapes. We were fulled up and ready to think all about fashion! My first stop was the accessories! 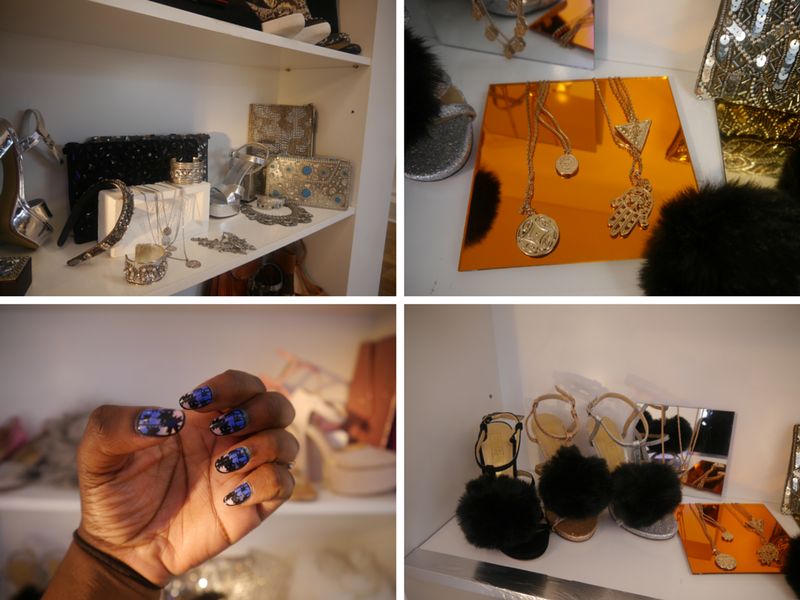 My inner magpie was in full affect as I ohh'd and aww'd at the pretty accessories, that Boohoo had in store for the upcoming season. Pom poms were a recurring theme in many of the accessory pieces from shoes to bags. It definitely gave me a Clueless vibe. I was really attracted to some of the gold and silver pieces, such as the hamsa necklaces. Although I am a statement jewellery kinda girl, I like a simple necklace as it is nice to simplify an outfit at times, don't you think? That being said, those necklaces are on my wish list. Staying true to LWIG's roots, I had my nails done. For all of my new readers, holla. But in all seriousness, I used to do a lot of nail art back in the day but I don't anymore as I am busy. So I was lucky enough to have false nails added by the lovely Elegant Touch. It definitely made me feel fierce. 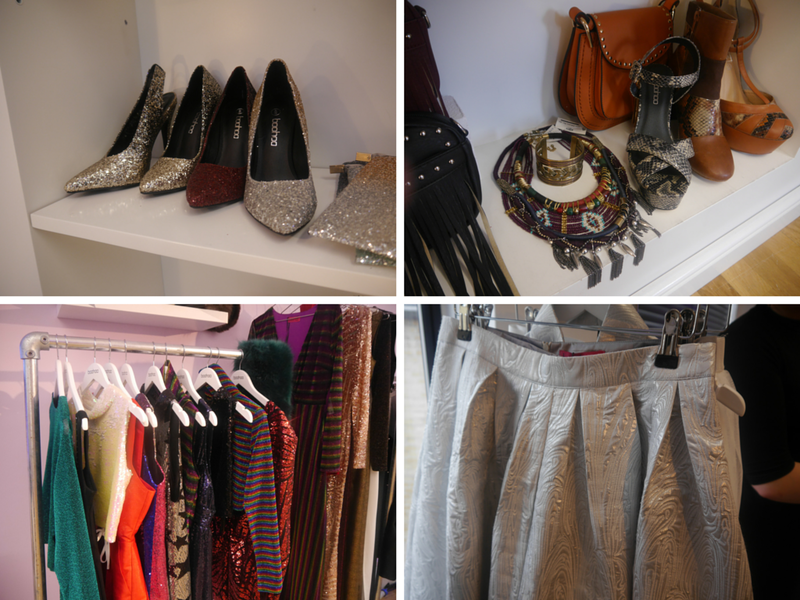 I also was interested to see a lot of metallics incorporated in this season collection. Which not only filtered into the clothes but accessories too. Boohoo really pushed the boundaries here and I would have to say the pink pointed flats had my heart. Heels were in abundance, to the classic strappy shoes to the more extra ordinary pieces which included red suede. Now I loved the high heels, but everyone knows that I am not very good with high heels. So I think I will covet from afar. Moving away from the accessories were the clothes! Where do I start? I saw leather, I saw stripes and new takes on the classic Christmas jumpers. It was hard to choose my hero items, but I was edging towards the metallic sleeveless waistcoats. Only because I love great tailoring! All in all, I was really impressed and I cannot wait for the collection to drop. What were your favourite pieces? I tend not to give much thought to Boohoo but some of these pieces look so cool. I'll have to keep an eye out once we get towards winter (I can't think about that now though, Summer's not even hot enough for me!). Oh man, these Xmas in July events are crazy haha! Those coats look aweeesome.